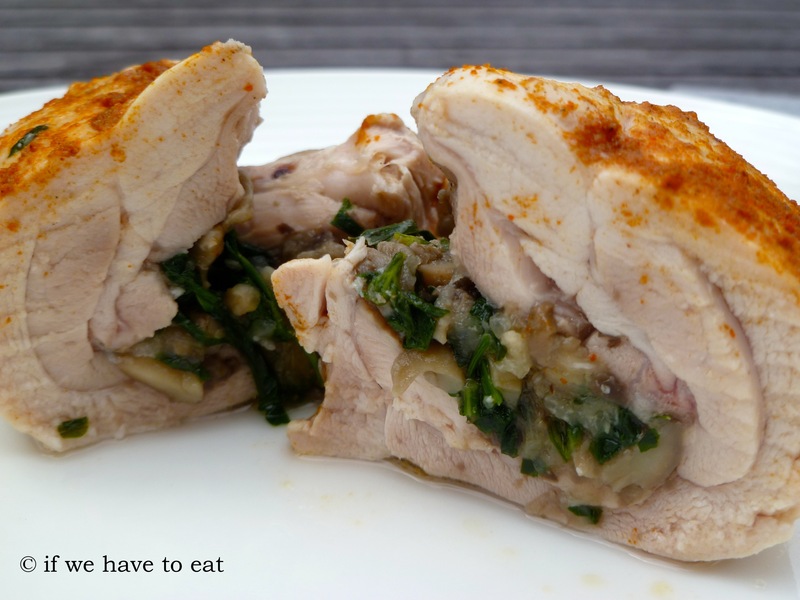 This is an updated version of the stuffed chicken thigh recipe. I’ve done a couple of things to up the flavours in this dish – first, I cooked down the onions, garlic and mushrooms with some oil, salt and pepper and second, I’ve sprinkled some sweet paprika on top of the chicken before cooking it. This entry was posted on January 19, 2014 by ifwehavetoeat in Mains and tagged Feed a Few, Mains, Make Ahead, Poultry, Recipe, Thermomix, Varoma.